You have arrived at Alpine Sauna and Steam. We are the largest Internet dealer for commercial and residential projects. Our site offers numerous sauna, steam room, and infrared room product such as sauna door, sauna accessory, sauna accessories, steam jets, infrared heater, home sauna kit, home steam room, home steam room, modular shower, steam bath generators, steam bath heaters . We also offer services and information such as installation instructions and CAD drawings for our sauna, steam and infrared products. We have numerous accessories as well. Be sure to visit our gallery to see photos of our various projects. No job is too large, no job is too small! Whether your project is commercial or residential, nobody can beat our quality, our prices, or our service. Contact us today with all of your sauna, steam, and infrared room needs. Alpine Sauna is an internet dealer for Saunas and Steam baths. Alpine Sauna and Steambath is a worldwide dealer of sauna rooms and doors, heaters and controls, as well as steam bath generators, steam rooms and steam controls since 1998. 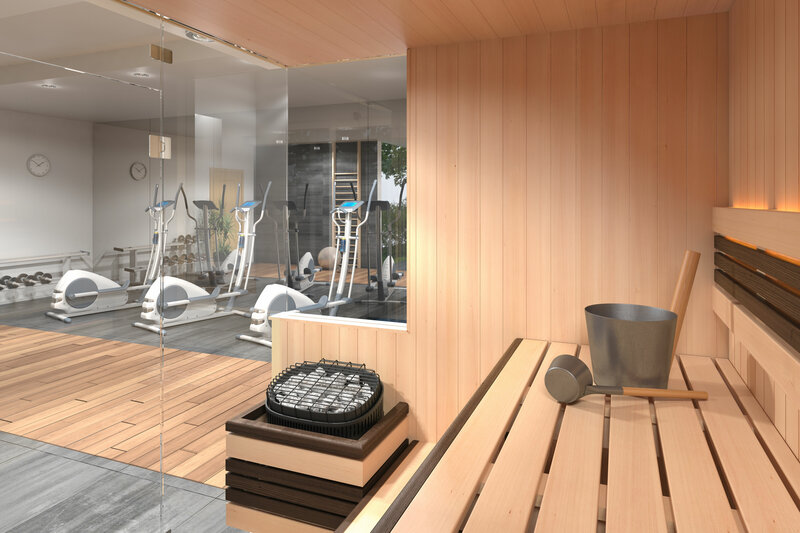 Alpine Sauna and Steam bath supplies residential and commercial Finnish Sauna heaters, traditional as well as Infrared sauna rooms, accessories and steam bath generators. Alpine Sauna and Steam bath (watch how to install a steam shower Click Here) has done residential as well as commercial projects all over the United States including Alaska and Hawaii, the Caribbean, Central and South America and many other countries. Whether you are building inside our outside your house we can accomidate whatever you need. We build both standard and custom installations as you can see to the left. Go with the company you can trust Alpine Sauna.